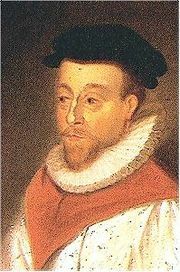 Short Service composed by Orlando Gibbons (1583-1625). Arranged by Edmund H. Fellowes. For SATB choir, a cappella. Mixed Voices. Tudor Church Music. Sacred, Choral Service. Vocal score. 32 pages. Duration 14′. Published by Oxford University Press (OU.9780193520851). This entry was posted in Gibbons, Orlando (1583-1625) and tagged album, CPDL, English, Luke, Luke 1, Luke 1:46, Luke 1:47, Luke 1:48, Luke 1:49, Luke 1:50, Luke 1:51, Luke 1:52, Luke 1:53, Luke 1:54, Luke 1:55, Magnificat, mp3, sheetmusicplus, YouTube by John. Bookmark the permalink.